With smaller smart speakers like Amazon’s Echo Plus and Echo Dot now littering living rooms, bedrooms, and kitchens around the globe, it may feel as though Amazon has abandoned those of us who are in search of easy Alexa-based integration and the gorgeous sound that’s typically associated with big amplifiers and high-end speakers. Not so. 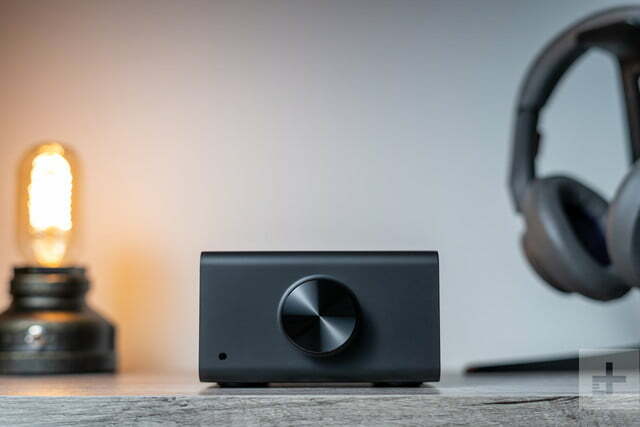 First revealed at Amazon’s mega hardware event last November, the $200 Echo Link and $300 Echo Link Amp aim to bridge that divide, offering something for those in search of premium sound and the simple voice control of Alexa for their high-end audio systems. These devices aren’t cheap, and they’re also quite niche — but they do deliver on their promise to transform any “dumb” hi-fi system into a smart, sweet-sounding listening hub. 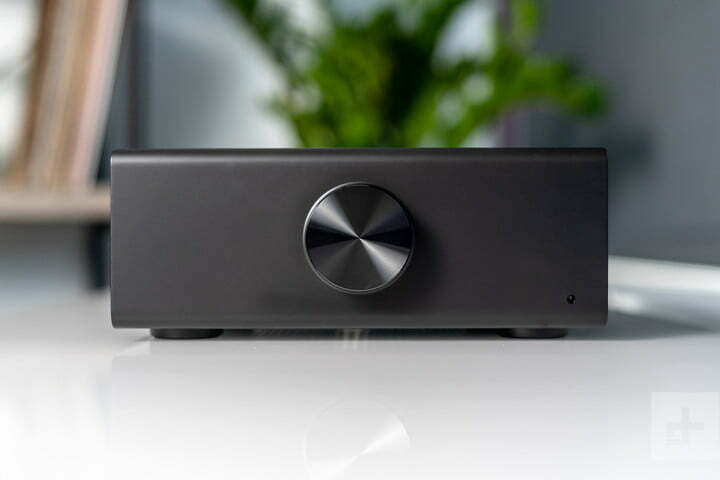 Both the Echo Link and Echo Link Amp are simple black boxes that could easily disappear inside your existing home theater or audio setups. 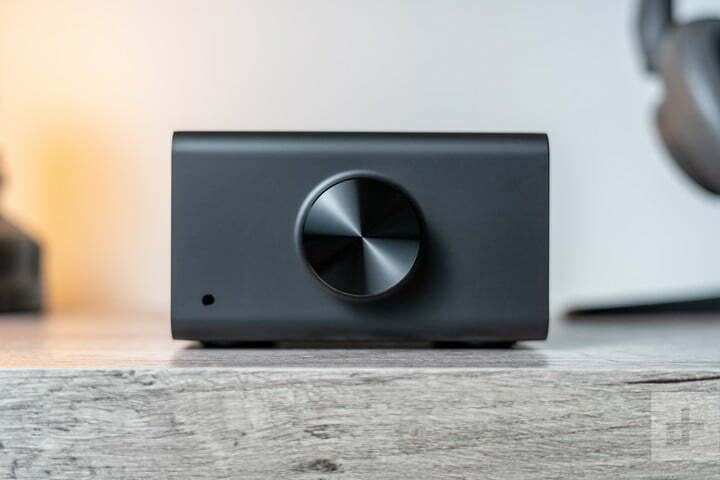 Both feature large volume knobs on the front and nothing else, and even the LEDs that illuminate when you adjust the volume quickly disappear after you turn the dials, making these devices extremely unassuming and minimalist. 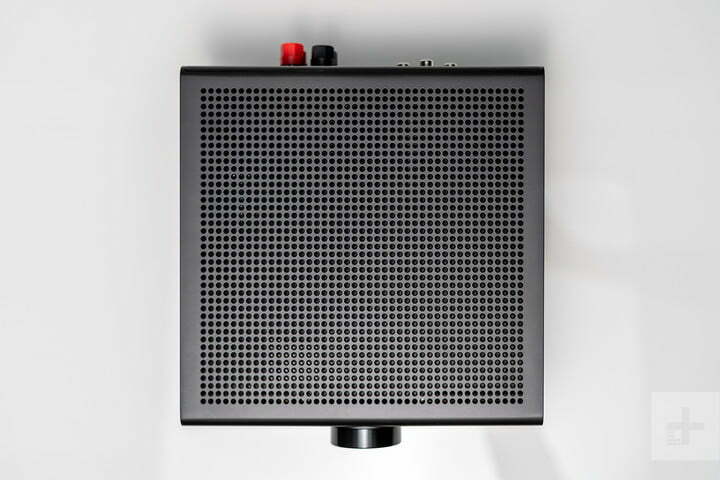 The Echo Link is about half the size of the Echo Link Amp, due to the fact that it doesn’t actually power speakers on its own (more on that below), but even the larger Amp is about the size of a lunchbox, and thus very manageable to place in your home. 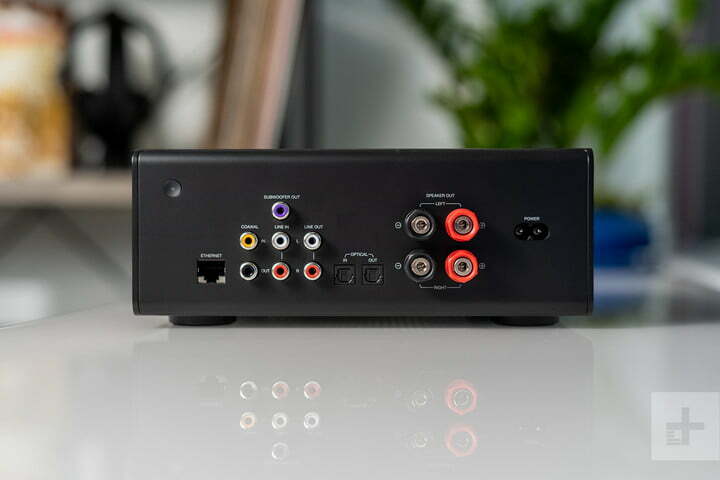 The back of each device features two RCA ports (one for line in, one for line out), a coaxial input and output, digital Optical in and out, and an Ethernet port for wired internet (both models also feature built-in Wi-Fi). Somewhat strangely, neither of them come with a remote. That’s not too much of a hindrance, considering that you can use the Alexa app to control them with your hands, or any nearby Echo device to control them with your voice, but we still would have liked a piece of hardware for basic volume control. Continuing the minimalist approach, each device comes with zero accessories outside of a power cable and a tiny instruction booklet. As we’ll get into below, neither of the devices come with a microphone array, so you’ll need to use the Alexa app for control or, as was included in our review package, an Echo Dot or other Alexa speaker. While the Echo Link and Echo Link Amp are indistinguishable in terms of inputs and outputs, the $100 price difference between them essentially comes down to the fact that the Echo Link Amp can be directly connected to a pair of speakers. As the name implies, it has a built-in amplifier that’s rated at 60 watts per channel. That makes the Echo Link Amp an awesome way to power a pair of bookshelf speakers (we tested them with the Elac UniFi UB5 model we’ve been in love with for years) should you find yourself in need of a compact and relatively affordable Alexa-supported amp. 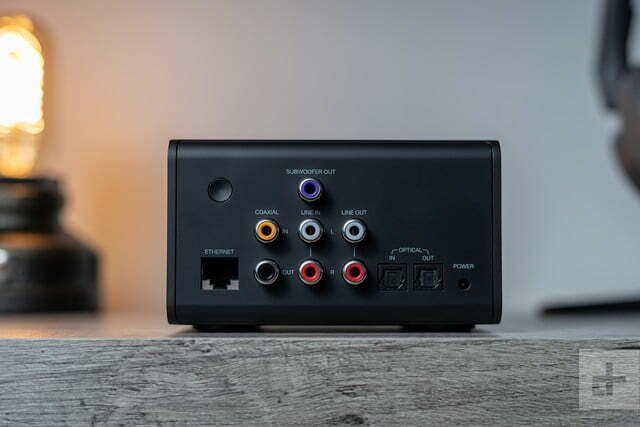 This is also where it makes the most sense that Amazon included optical and RCA inputs, allowing you to connect devices like your TV or outboard audio gear like turntables to the Echo Link Amp. The thing is, many of us are not in need of another amp for our current listening setups, and instead are after a more high-fidelity way to get Alexa into our existing audio systems than what you’ll get by plugging in an Echo or Echo Dot via its 3.5 mm output. That’s where the smaller Echo Link comes in. It’s essentially a high-end, Alexa-integrated digital to analog converter (DAC), that allows you to stream your favorite music to your stereo at high quality. 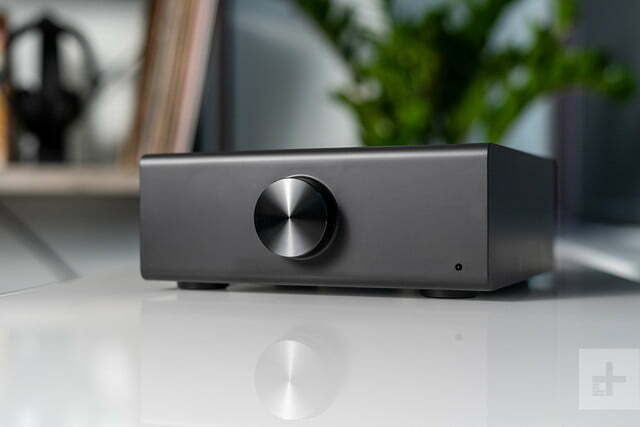 It can sit atop or alongside your current receiver or amplifier, adding Alexa functionality and ultra-clear streaming audio to your setup. Once you connect the power cables and whatever audio cables are needed for your setup, both devices are quick and painless to get going using the Alexa app — especially if you’re already initiated in Alexa’s ecosystem. After opening the Alexa app, simply make sure the device is powered on and it will automatically go into setup mode. Just find them in the app, follow the on-screen instructions, and they’ll do the rest. One cool thing is that either device will even ask you if you want to make it the preferred playback device in a specific space, so if you have an Echo Dot in the same room (as we did), it won’t ever play music on the Echo Dot unless you ask it to. You can also tell each device which room you want it to be a part of, assuring that it integrates well into an Alexa-enabled multiroom listening system. There’s even a quality 3.5 mm headphone jack on the front of each device, should you want to listen with your favorite cans (though there’s no quarter-inch port). 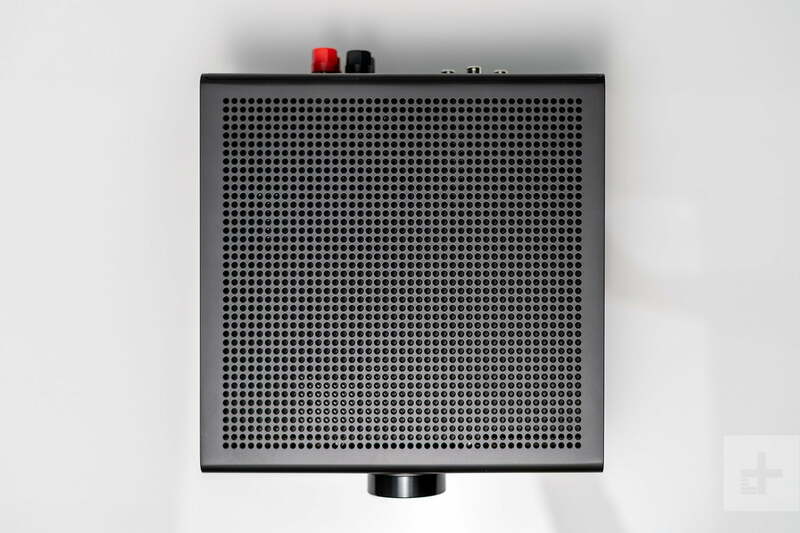 Once again, it’s worth noting that neither the Echo Link or Echo Link Amp have microphones built-in, meaning they won’t serve as stand-alone Echo devices with the ability to respond to voice commands, tell you the weather, etc. But even if you don’t have an Echo speaker, the Alexa app makes for a solid surrogate. The biggest thing you’ll want to know right off the bat is that both Link models offer significantly better audio quality than what you’ll get by plugging in an Echo Dot or other Alexa speaker to your stereo via the 3.5mm output. To test this, we listened to our favorite Radiohead tracks side-by-side running the Echo Link and Echo Dot into a Naim Uniti Nova amp and floorstanding KEF loudspeakers, and noticed a significant increase in clarity, low-end definition, and soundstage when we switched to the Link from the Echo Dot. That’s to be expected, as both Link models are purpose-built to integrate into high-end audio setups, where the 3.5 mm output on the back of the Echo Dot is more of a bonus feature for most people than anything. It’s also cool that the Alexa app lets you adjust equalization and various other audio settings for each Echo Link device, making it simple to tailor audio to your space. While we can absolutely envision Alexa-loving audiophiles adding an Echo Link to any number of hi-fi options, the Echo Link Amp isn’t really meant to power much beyond some quality bookshelf speakers (though there is a subwoofer output to add some oomph). Still, it was just about a perfect match for the aforementioned Elac UniFi UB5 speakers, with the high-end squeal of Miles Davis’ trumpet on Walkin’ and the bright synth lines from Rush’s 2112 leaping out of the soundstage. As a compact stereo amp with Alexa integration, it’s unlikely you’ll find much better sound quality for your $300. 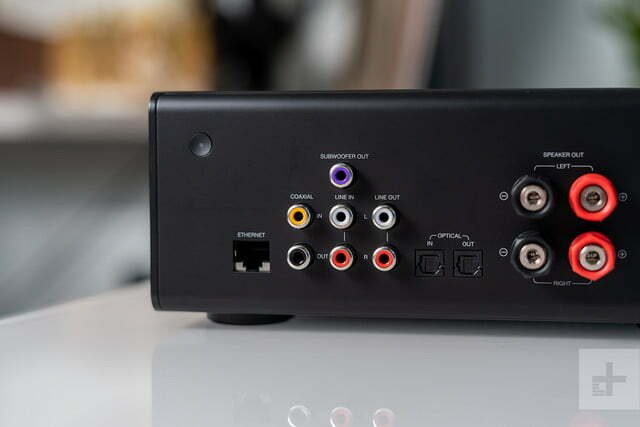 But if you’re looking for something with a bit more potential — and the ability to integrate into a full-on home theater system — its worth noting that companies like Yamaha are already making Alexa-integrated home theater amps and receivers for just a little bit more money, and those should work just as well to power speakers this size (as well as bigger systems). Should you buy a Link or Link Amp? 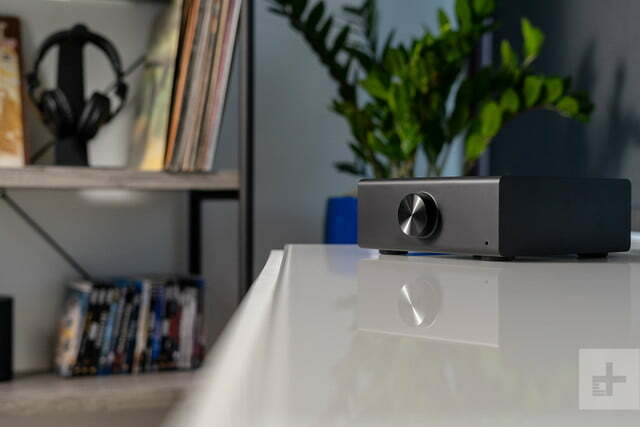 There’s no question that both the Echo Link and Echo Link Amp are niche products designed for those with a somewhat niche problem — they want to bring Alexa to nicer hi-fi setups. Both are great solutions for this predicament. If you’ve got an Echo Dot, Echo Show, or other Alexa interface that you like, and you want to be able to use it to control your hi-fi system, these are a great way to do just that. If, on the other hand, you don’t have a great listening space, great speakers, or a keen ear, you can totally get away with plugging an Echo Dot or another Echo speaker into your stereo to give yourself a similar experience.